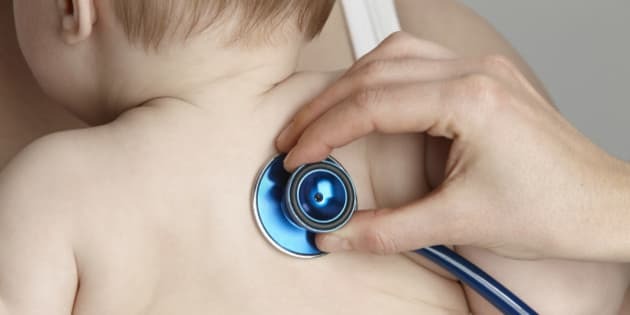 TORONTO - Doctors need to be alert for signs of a form of abuse in which a parent fabricates illness in a child and exposes them to unnecessary and potentially harmful tests and treatments, says the American Academy of Pediatrics. Because it is relatively rare, caregiver-fabricated illness in a child is often unrecognized by health professionals, said Dr. Harriet MacMillan, who co-authored a report on the subject for the AAP, which appears in Monday's issue of the journal Pediatrics. "In the child, it's a form of maltreatment; in the person who is committing it, it is considered a psychiatric disorder," said MacMillan, a pediatrician and child psychiatrist at McMaster University's Children's Hospital. "One example would be where a parent is reporting that the child has certain symptoms that the child doesn't have," she said from Hamilton. "The parent will say, 'My child has terrible abdominal pain.' So it begins with a set of X-rays, then other (diagnostic) procedures or potentially even exploratory surgery." MacMillan and other members of the AAP's Committee on Child Abuse and Neglect said caregiver-fabricated illness in a child has been known since the 1980s as Munchausen syndrome by proxy. The latest volume of the Diagnostic and Statistical Manual of mental disorders, the bible of psychiatric diagnoses, calls it "factitious disorder imposed on another." The syndrome name derives from Baron von Munchausen, an 18th-century German aristocrat who purportedly told many fantastic stories about himself. In the early 1950s, people who fabricated disease symptoms that led to self-harm were described as having Munchausen's syndrome. Inventing symptoms in others came to be known as Munchausen's by proxy. "It's been referred to with different names and our committee felt it was important to refer to it as caregiver-fabricated illness in a child because it really puts the emphasis on the child, as with other types of maltreatment," MacMillan said. Caregiver-contrived illness is relatively rare — it's estimated to occur in 0.5 to two per 100,000 children — but its effects can be severe. An estimated six to nine per cent of children exposed to this form of abuse end up dying as a result, and about the same proportion are left with long-term disability or permanent injury. "When health-care providers are seeing children with illnesses that are not explained and result in multiple medical procedures, they need to be alert to this possibility," said MacMillan, cautioning that there is no typical presentation. A child might show up with anything from bleeding or seizures to a urinary tract infection or attention deficit hyperactivity disorder, the authors say. MacMillan, who is part of a health-care team dealing with family violence and interventions aimed at preventing child abuse or neglect, said made-up symptoms can be physical or psychological. Over the years, she's seen cases of psychiatric symptoms being fabricated by a parent, "anything from 'My child is behaving in a way that makes me question autism' to 'My child keeps trying to hurt herself.'" Children can end up being prescribed unnecessary drugs — antidepressants, even antipsychotics — as a result, she said. Dr. Marc Feldman, a psychiatrist at the University of Alabama and an internationally recognized expert in Munchausen's and other forms of medical deception, said parents behind this kind of abuse are typically seeking emotional gratification, but at the cost of the child's well-being. "And usually that comes in the form of seeking attention and sympathy," he said from Tuscaloosa, Ala. "So they present themselves as the caregivers of terribly ill children, whose illnesses are defying diagnosis. And predictably, they get a lot of care and concern from immediate family as well as the community." Feldman, author of "Playing Sick," said many of these parents are dissatisfied with how their own lives have turned out and feel out of control. Successfully manipulating the beliefs of "high-status professionals like doctors allows them to feel once again in control." One of the most common means of "proving" their assertions to health providers is to cause their child to stop breathing. "I actually have videotapes of several perpetrators, male and female, suffocating the child when they think they're not being observed," he said. "In one case, the father literally positions his entire body over the infant's head with the infant's face pressed into the mattress and he stays in that position for 70 seconds, and then gets up when a nurse enters the room and the child is unconscious but alive." While babies and toddlers are often the victims, older children and even caregiver-dependent disabled adults can also be the subjects of sham symptoms, Feldman said. One paper in the medical literature suggests older siblings may also have been previous targets, and in about 25 per cent of cases, those children died as a result. "It may be more lethal than just about any other form of abuse," said Feldman, noting that children can become Munchausen's patients themselves as adults or end up avoiding medically necessary treatment due to post-traumatic stress disorder. "They want nothing to do with anything that reminds them about the victimization they experienced earlier in life." MacMillan said doctors who are suspicious about the credibility of purported symptoms need to conduct a careful medical history and physical examination, and speak to health providers in other settings to see if they have previously seen the child for similar complaints. "My aim is not, nor is it of the committee, to suggest that this is a really common problem. It's not at all," she said. "Nonetheless, as with any condition that is so associated with impairment for a child, we think it's important for health-care providers to know about it."